Student E-Portfolios are an easy and engaging way to demonstrate growth and learning. But, what exactly are they and how do you make them happen in your classroom? 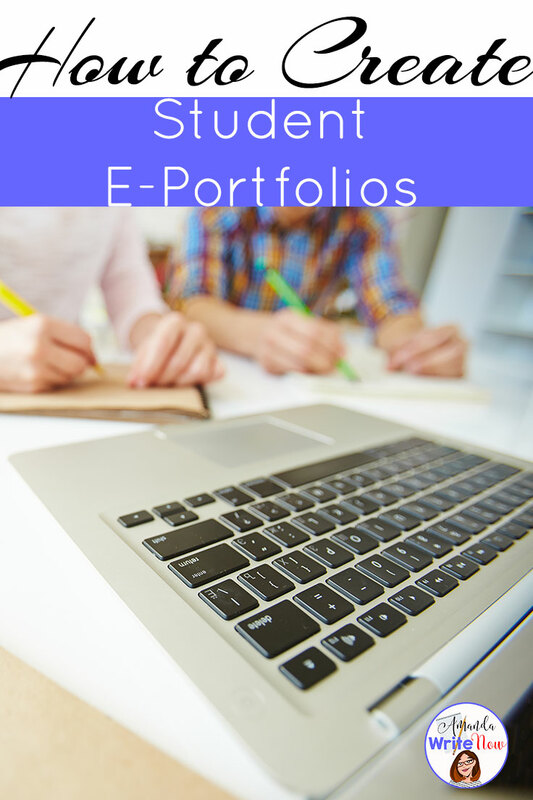 E-Portfolios are websites that contain pages which show student learning throughout the course of a year. Once you’ve decided on a platform, you need to learn it so you can give students a general tutorial on how to create a site OR you could throw your students over the deep end and let them figure it out! I do this often. Believe me, your students will love it. Some will hate it and want your help for every step. This is an awesome opportunity for cooperative learning. In my classroom all students are teachers. I check in on students and support as needed but I also ask students to help each other a lot! Okay now that your students are creating their own website/E-Portfolio how can they be organized? Students include pictures and info on any of the following: personality traits, hobbies, family background, places visited, places lived and anything else they want to share. My students also discovered cool gadgets like the fish tank to place on their home page. You can require students to write about any topic they want on their blog once a week/month, as long as it is school appropriate. I love using Common Sense Media to teach my students character education on the internet. Students can write on their blog like a diary or journal, they can use it to provide information on topics they are passionate about or they can use it to provide links to sites/games/movies/books they love and provide information about topics. Students keep a running list of picture books, online articles and chapter books they’ve read over the course of the year. I do the same on my class website. It is very important to be honest about the number of books you are reading so that, in turn, students are honest too. I often talk about how little time I have to read with a two year old and a full time job. Many students can relate with all the homework and after school activities piled onto their lives. There is such little time to read! I make sure to allow as much time for independent reading as possible in my class for exactly this reason. I often tell my students how envious I am of them for getting that time. I explain that my job is to conference with students during independent reading time. I help readers find engaging titles to read, reflect on what they are reading, use reading strategies to analyze what they are reading and encourage meaningful discussions about their books. 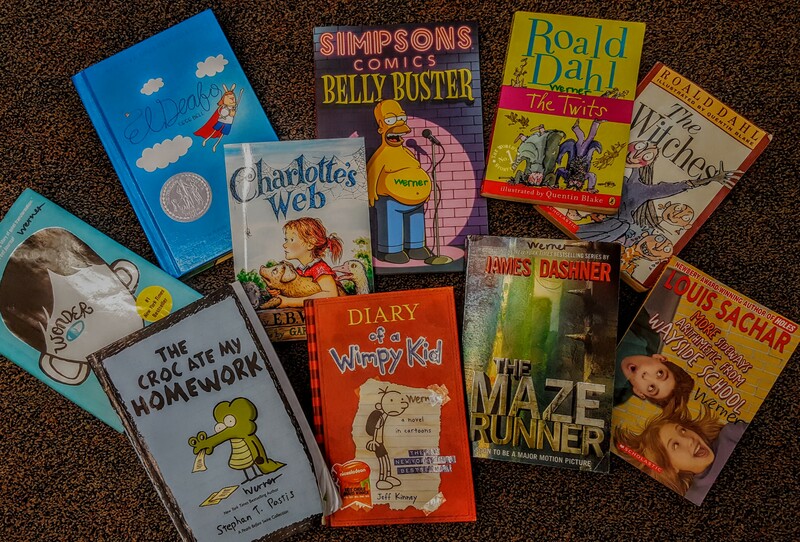 Students do book talks and search for books constantly in my class. They use Goodreads, Amazon, Google and our school online catalogue A LOT. 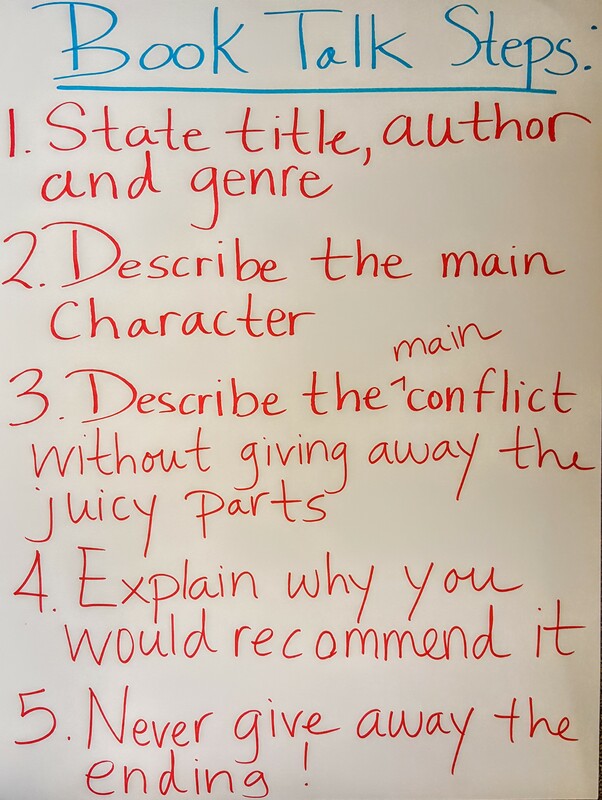 Students do this to build a list of books they want to read for their E-Portfolio. Here is a chart you can use in your class to support your students in doing book talks and collecting a list of books from their own classmates. My students write A LOT. They have writer’s notebooks that they list, draft, diagram, draw, map, doodle, plot and emulate mentors with. But eventually students are expected to take ideas from their notebooks and publish a writing piece that has been revised a ton using Google Docs. Students can easily place Docs onto Google Sites. They can also do so on Weebly or Wix by saving their Doc as a PDF and then uploading it to their site. Parents, students and other classes love reading each others’ writing pieces online. It is such a powerful way to prove to students that they are in fact writers and have an audience other than their teacher! My students create lots of slideshows throughout the year using Google Slides. Here are some of the topics they create slideshows about: artifact from history, biographies of famous authors or historical figures, book talks, picture book stories (use Google Draw to make characters & settings), Encyclopedias and visual vocabulary dictionaries. Students can upload their slides onto their Google Sites easily. It is a little more tricky with Wix and Weebly. For Weebly students can add a slide show with pictures uploaded from their computer and then provide a text box about the slideshow at the bottom. It is similar with Wix. E-Portfolios are fabulous and I highly recommend you give them a try! Your students will love putting energy into personalizing their sites, their parents will see visible evidence of their learning and you will have a visual way to assess students on the spot with E-Portfolios. If you found this post valuable please feel free to share on Facebook, Twitter, Pinterest or via Email by clicking the links at the top of this post.